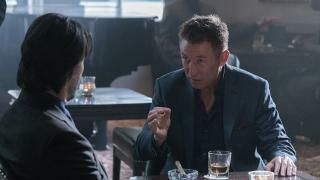 Siberia tells the story of Lucas Hill (Keanu Reeves) who is an American diamond trader in Russia trying to find his missing partner, Pyotr (Boris Gulyarin), while working on salvaging a deal with a Russian gangster Boris Volkov (Pasha D. Lychnikoff). Pyotr has access to a large amount of rare blue diamonds that are worth tens of millions of dollars, but with him nowhere to be found Lucas convinces Boris to give him two days to come up with the diamonds. Lucas heads to a remote Russian town to track down Pyotr’s brother, hoping that he will be able to help him track down Pyotr. Lucas takes a detour to a local bar/restaurant where he meets Katya (Ana Ularu), which is the beginning of a strange love affair. Lucas interacts with many characters throughout that seem to dismiss and underestimate him, mainly because he is an American. Lucas must find a way to balance his blossoming love interest with Katya and his quest to find Pyotr and the diamonds as the clock is ticking down. Siberia has many elements of a successful thriller – Russian mobsters, missing diamonds, fights, and affairs – but putting it all together in this case simply does not work. 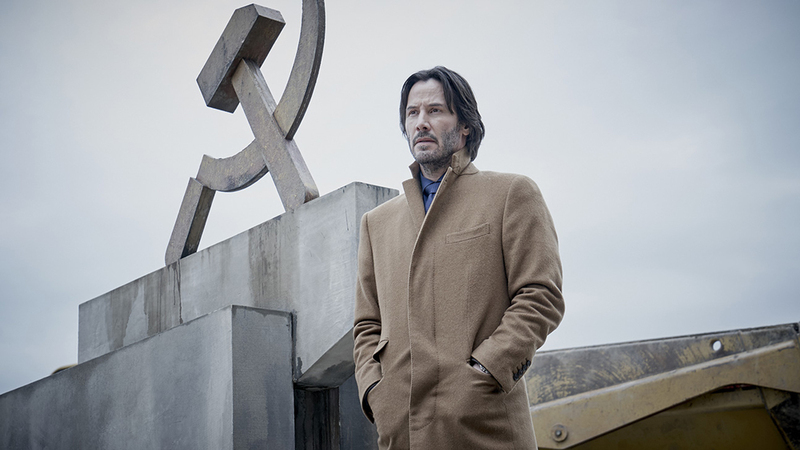 After the recent success of John Wick and Keanu’s performance in that franchise I was expecting a lot from Siberia. Needless to say it fell short across the board. The film is boring, never finds its footing, and seems to forget about the entire diamond storyline for long stretches. The film spirals into an offbeat romance, focusing on Lucas and Katya’s relationship and the awkwardness between them. Lucas should be worried about the imminent danger he is in, but doesn’t really seem to care. The film follows his lead, it is sluggish and just trudges along. The music is slow and stale, and the entire film lacks energy. Siberia is a big flop and I would steer clear –it is as exciting as the barren landscape that it is named after.